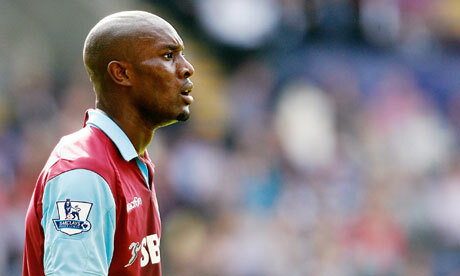 Would you take Carlton Cole to St.James’ Park at this stage of the transfer window? Words by Kevin Doocey on August 6, 2011 . Cole - Would you pair him up front with new summer signing Demba Ba? With a deal for Paris St.Germain striker Mevlut Erding dead or seemingly so - you really have to ask yourself what strikers Newcastle United are still pursuing. Peter Crouch, Jermain Defoe, Shane Long, and even Jermaine Beckford have all been linked with us this summer to name but a few but it is unlikely that any of the above will end up on Tyneside come the end of August. It is all good and well signing midfielders and indeed wingers - with Gabriel Obertan arriving on Monday it would seem - however we need a striker, and badly at that. Carlton Cole has been linked with us for some time now and as much as Newcastle United fans dismiss the fact that it would ever happen, I’m 100% sure his name will be mentioned a couple more times before the transfer window slams shut. We’ve all seen Cole miss sitters here there nad everywhere - with some of his decision making questionable to put it nicely. However, with that said; we’ve also seen the big man score some great goals, and even has an English international appearance to his name. I’m not saying we should go for him at all - but as the clocks ticks towards August 31st 12.00: would you approve a move for the 27 year-old? It was only thinking about him today when his age jumped out at me - he certainly didn’t strike me as a 27 year old but maybe that’s just me. One must remember Demba Ba & Cole partnered each-other up front for West Ham United last season but more importantly - it was a striker force that sent them tumbling to the nPower Championship, despite Ba’s best efforts. I’d be surprised if we have a striker in the door before the final two weeks of the window, however I hope I’m wrong and that we’ve signed a decent frontman to partner the French-born CF. All in all - one must ask the question. If we haven’t managed to sign anyone before the final few days of the window - would you splash £4m on the 6 ft 3 forward? No, I'd rather play 1 up front than have C. Cole.